You know it’s an extra-special celebration when champagne is served! 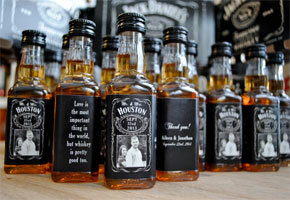 And what could be more reason for revelry than a wedding? 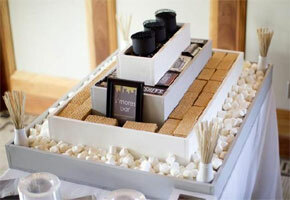 Whether for a bridal shower, a bachelorette bash, an engagement or rehearsal dinner, or a formal reception, then, keeping up the bubbly mood all the way to the wedding favors will have guests leaving happy for sure! So shall we explore some popular bubbly themes to inspire your favor choices? 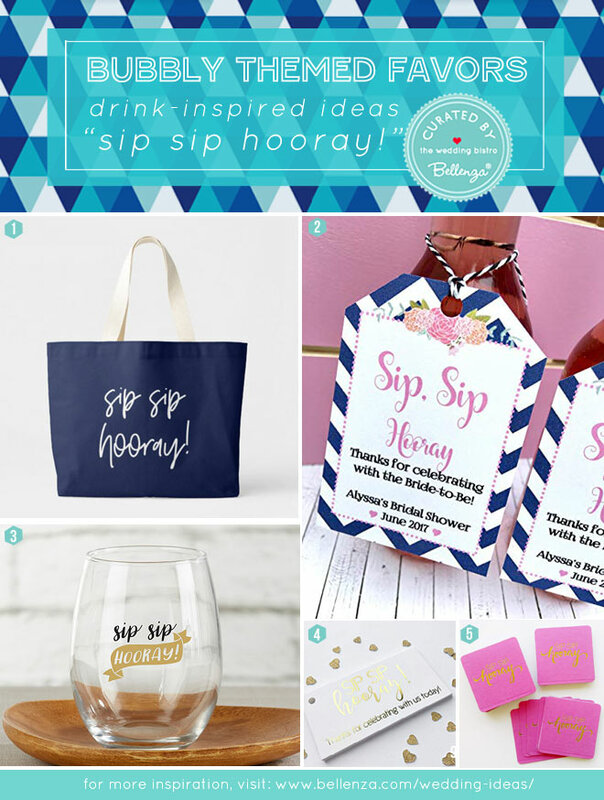 For a fun bridal shower, this selection invites guests to keep up the fizzy fun with a tote bag (1 – via Zazzle) holding a mini bottle of sparkling wine, along with a stemless wine glass (3 – via My Wedding Favors) and hot pink coasters with gold lettering (5 – via Amazon). 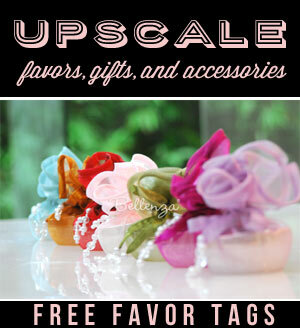 To trim the bag, you could choose from hang tags with twine (2 – via Amazon) or gold-lettered favor tags (4 – via Amazon). These bubbly-themed favor ideas with a chic and modern air would work well as bachelorette party favors or to gift both ladies and gents at your engagement dinner. Check out these trendy can coolers (1 – via Zazzle) and champagne coasters (2 – via Zazzle) in gold lettering on black. Or these personalized choices of glass beer mug (3), double-walled beer glass (4), and can-shaped glass (5 – all via Weddingstar). 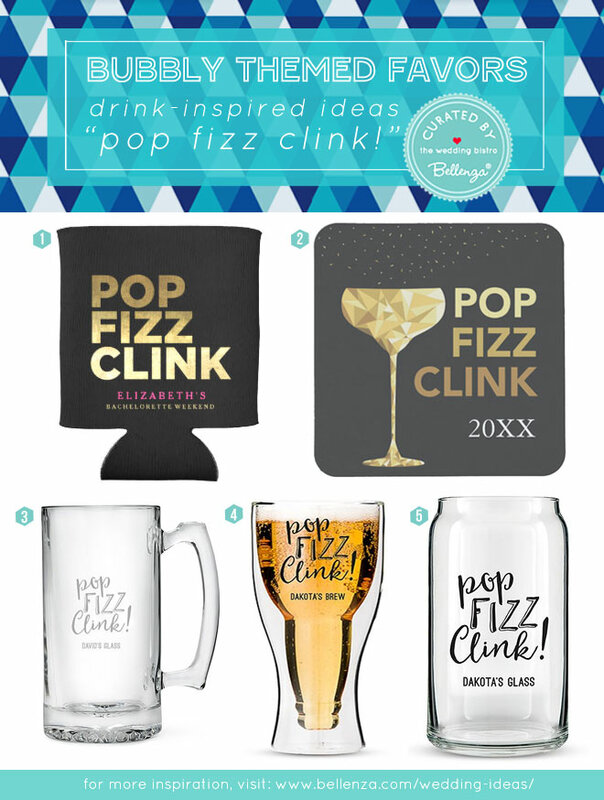 For your rehearsal dinner perhaps, allow guests to toast you at the event—then enjoy more bubbly cheer afterwards with these fun finds. 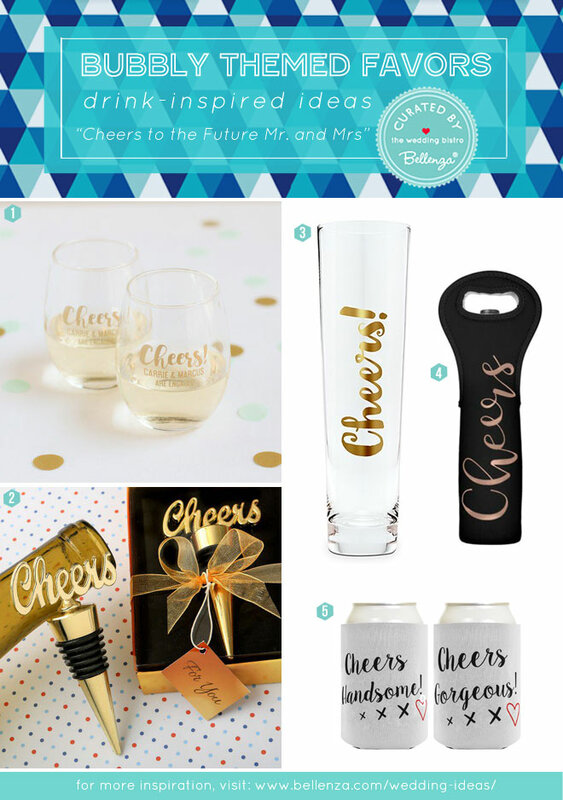 Choose from personalized stemless wine glasses (1 – via Beau-coup), wine bottle stoppers (2 – via Beau-coup), toasting champagne flutes (3 – via Weddingstar), wine bottle bags (4 – via Zazzle), and fun can coolies (5 – via Amazon). 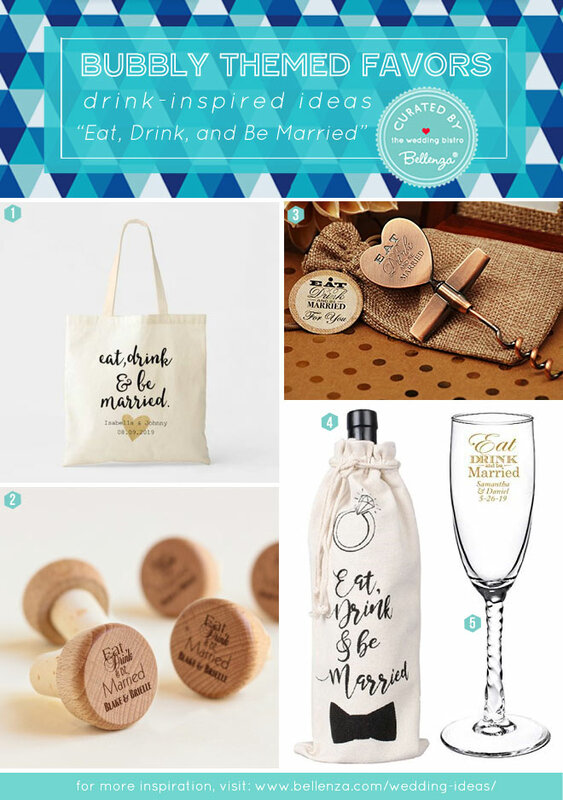 At your wedding reception, send guests off with gift tote bags (1 – via Zazzle) filled with stylish themed gift items like personalized wine cork stoppers (2 – via Beau-coup), canvas wine bags (4 – via Amazon), copper wine bottle openers (3 – via Amazon), and personalized twisted stem champagne flutes (5 – via Amazon). This post contains affiliate links and Bellenza, Inc. will be compensated if you make a purchase after clicking the affiliate links. You can find our disclosure statement here. Previous Mother of the Bride Dresses: 20 Proper Picks for a Chinese Wedding!